Dr. Lucinda A. Garcia’s passion for dentistry began as a teenager when she volunteered as a translator on dental mission trips to Mexico. During these trips, she was moved by how dentistry could have such a positive impact on people’s lives. Recognizing her interest, the missionaries encouraged her to seek a mentor in the field to nurture her passion. Fortunately, Dr. Garcia did not have to look far; two of her older brothers were already dentists. One can say that her family got the dental bug. Indeed, there are now four dentists in Dr. Garcia’s family. 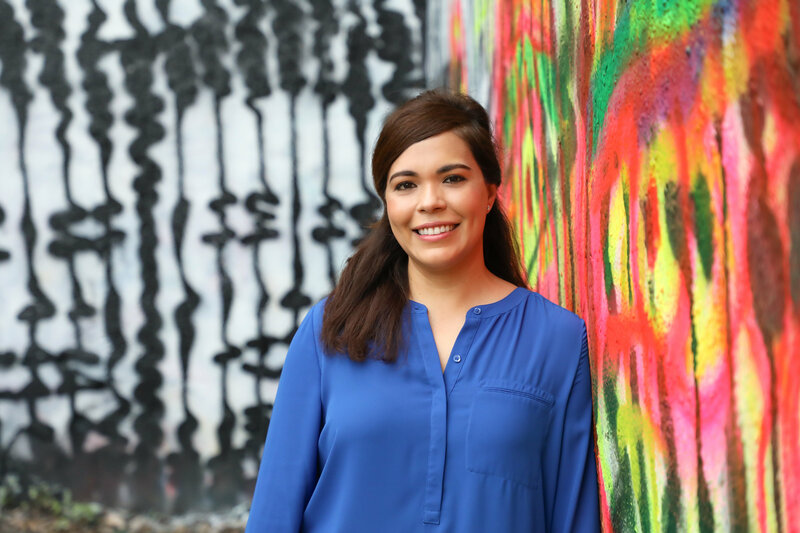 Following in her brothers’ footsteps, Dr. Garcia graduated from Baylor College of Dentistry in 2003. While her brothers still practice in South Texas, Dr. Garcia has forged her own path in Austin since 2006. For the past 15 years, Dr. Garcia has practiced dentistry with a focus on treating all her patients like family. Indeed, she enjoys taking the time to learn each patient’s story, and, because of her rapport she’s established, Dr. Garcia has been blessed to have been a part of weddings, graduations, and other family events through the years. In turn, Dr. Garcia is always willing to talk about her family, laughing with moms and dads about the joys and struggles of raising two boys. And, of course, patients are always welcomed to play and pet her German Sheppard (Maverick) and Golden Retriever (Chloe); they never turn down love and attention. Finally, knowing that dentistry is always improving (whether it be new techniques or equipment), Dr. Garcia stays current with the latest developments as a member of the American Academy of General Dentistry, Impact Austin Study Club and Austin Aligners. We hope that you will become a part of the Parmer Lane Family Dentistry family.